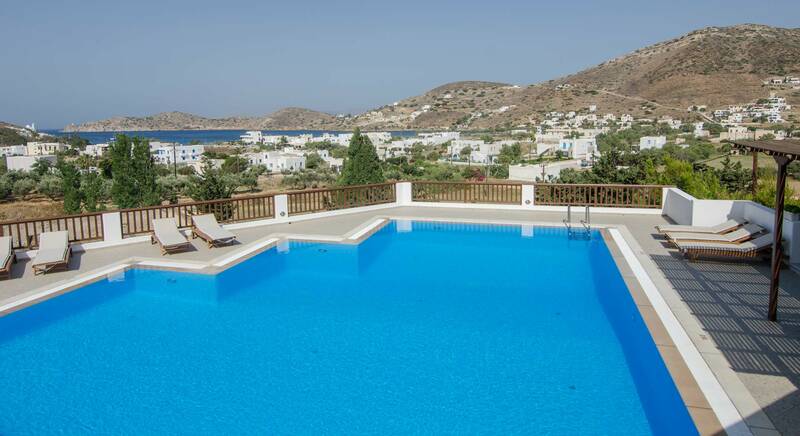 If you are in search for a place to stay for your holidays in Greece, then search no further. Our prices are totally affordable and our services of highest quality. Our hotel is very very close to the center of Ios main town (Chora) and the closest beach is less than five minutes away! GOLDEN SUN Hotel is an ideal place to relax and enjoy your holidays in a clean, friendly, family atmosphere far away from the every-day small or big problems. 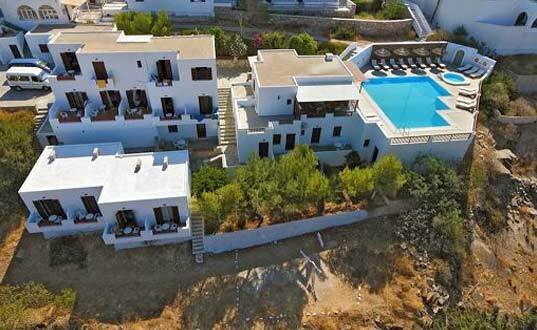 Although it’s a quiet place in a beautiful and relaxing setting with a breathtaking view of the port it’s only a 5 minute walk from the port & the sandy beach Yialos and also 15 minutes from the village of Ios called CHORA. Every room is new and fully equipped. With sea view and garden view. 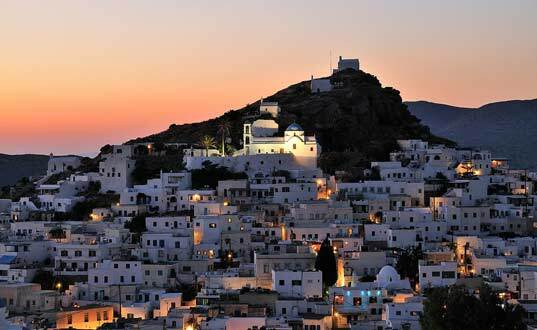 Ios island is one of the most popular destinations in Greece and Europe during summer! An ideal place to relax and enjoy your holidays in a clean, friendly, family atmosphere. People from all over the world visit our island to enjoy the blue, crystal clear waters of Aegean sea, the fantastic beaches, the golden sun, the delicious traditional Greek food recipies, the breathtaking lifestyle and nightlife among others! Yialos or the port is a beautiful part of the island to visit during the day and the night. There are nice shops, a bakery, nice restaurants and taverns, cafeterias and beautiful sandy beaches. In Yialos beach you will have the opportunity to enjoy water sports.There is also a nice yacht marine. I visit the hotel the previous week for 6 days.I think it was the best choise.The room was always clean and quiet,the view was fantastic and the pool too! !Also the owners was the kindest people that have ever meet. We had not received a welcome like this before! This hotel is a wonderful choice for your stay in Ios. Good location, great staff and a wonderful experience. Thank you for having us. Is nice that this hotel is not in the town centre, the town is noisy until 8am and not the cleanest. It was good to be able to visit the town when we were looking for some crazy drinking then retire back to the nice peaceful hotel. I dont have anything bad to stay about this hotel and would definately stay here again if I ever go back to Ios. The atmosphere was very relaxed, the place was spotless, the people were very friendly, no complaints. Highly recommended. We couldn't find a single flaw in our stay with Golden Sun. Definitely would stay again and recommend to friends and family. We wish the owner and his lovely family a very successful rest of the summer season. My fiance and I weren't so sure how we were going to like the fraternity party-esque atmosphere of Ios. The Golden Sun offered a quiet, clean, and family-oriented atmosphere for grown-ups--something that I suspect is hard to come by in Ios. We loved our 3 days at the Golden Sun so much, we extended and stayed for an extra 2 nights! Most people go to Ios to party.. But strange thing was staying at this hotel just made us feel so relaxed. The host's really made the stay special for us. Had the most amazing stay in this hotel for 18nights. It is a small family run hotel located near the port and only a short walk up the hill to the village. We booked it because it was the only place we could get but it turned out to be just perfect.